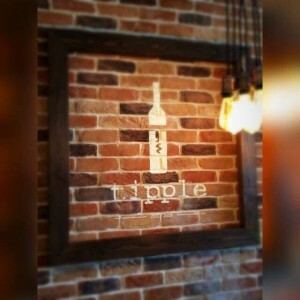 Olde Watermill brick slips, vintage classy & cosy. 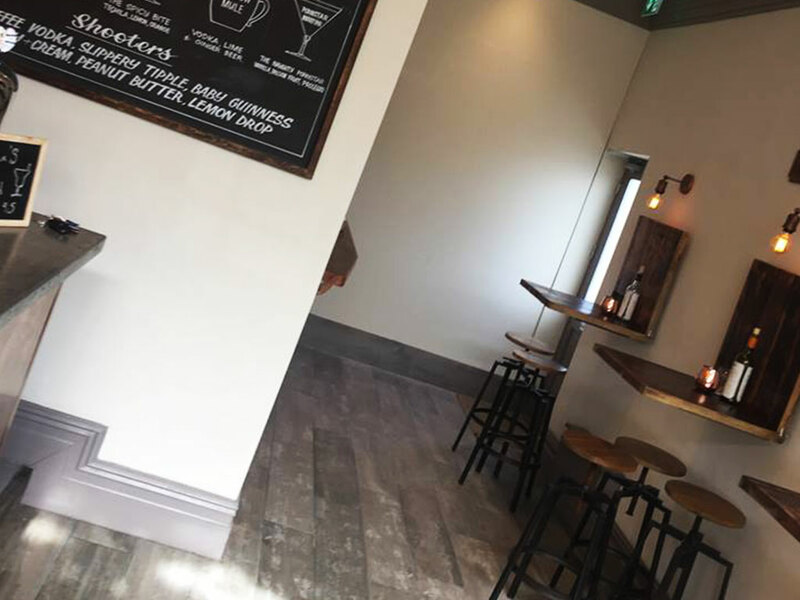 Our Olde Watermill Brick slips have recently been installed into this fantastic new independent Southport Eatery and Bar. 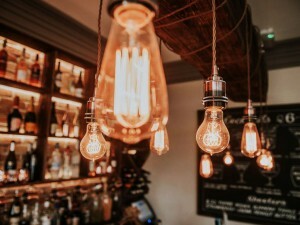 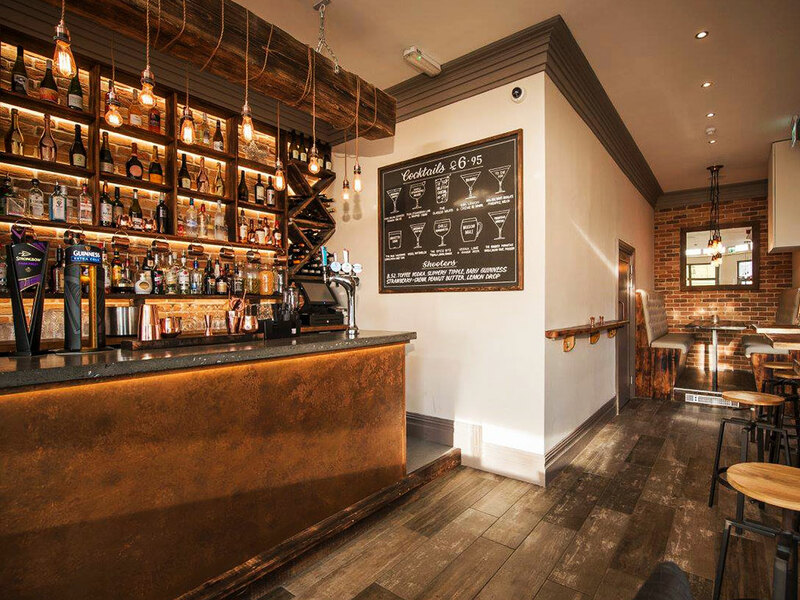 The design of this fantastic interior is simple and clean, making use of vintage lighting, crisp white walls, reclaimed timber and off course our very own brick cladding. 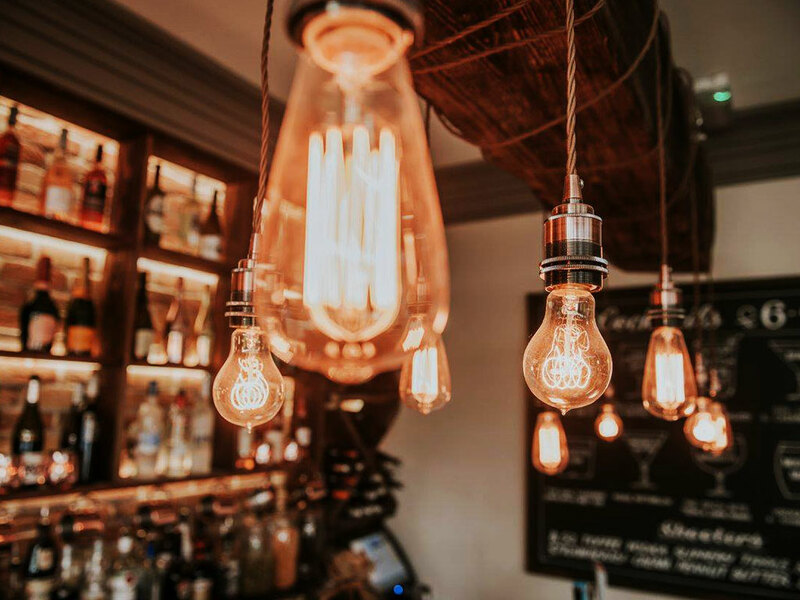 The white walls are a palette cleanser for a room which offers a rich and deep attack of the senses with a whole host of illuminated textural splendor. 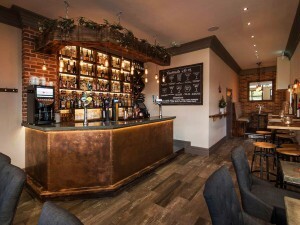 Our Olde watermill brick slips are a focal feature that give a raw realism to the bar area. Set behind a tapestry of glistening bottles and dark chocolaty rich timber shelving, the Olde Watermill brick slips offer a realistic backdrop of history of times gone by. The bricks are delicately used again to accentuate a VIP seating booth. The decision to use the Olde Watermill Brick Slips in this installation was a triumphant success story. 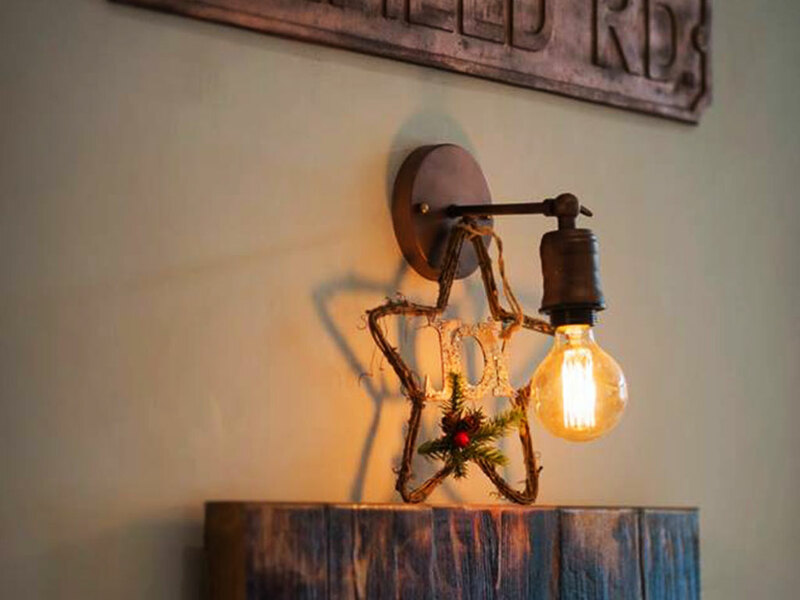 The product oozes history, and offers up a distinctive reclaimed and worn look. 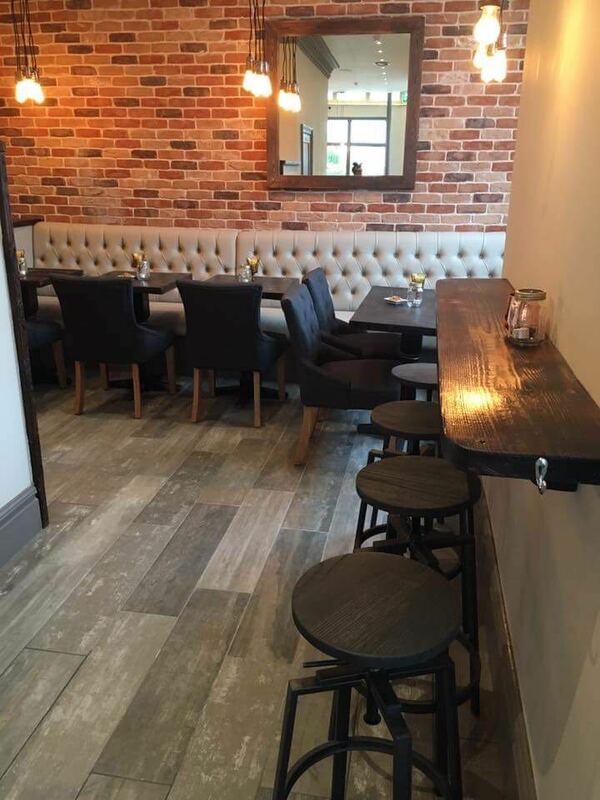 In line with our brick slip system the installers used our Rapid Set Adhesive which is a tried and tested wall tile adhesive. 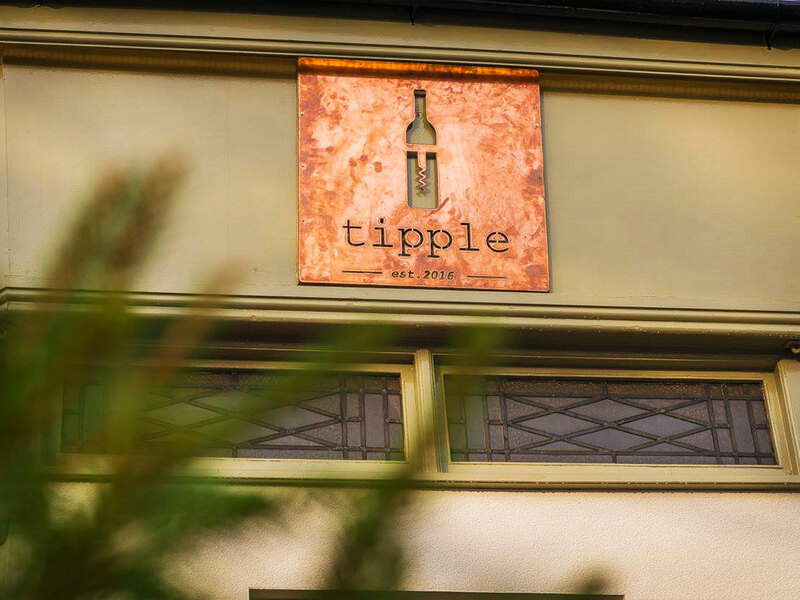 The installers pointed the red slips with Gun injected mortar using a mortar pointing gun to finish the installation of perfectly. 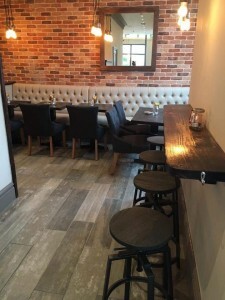 A brilliant reclaimed brick tile look and easily installed. 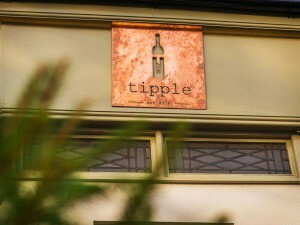 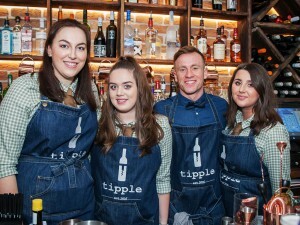 They say pictures can paint a thousand words and in the case of The Tipple Bar they certainly do that. 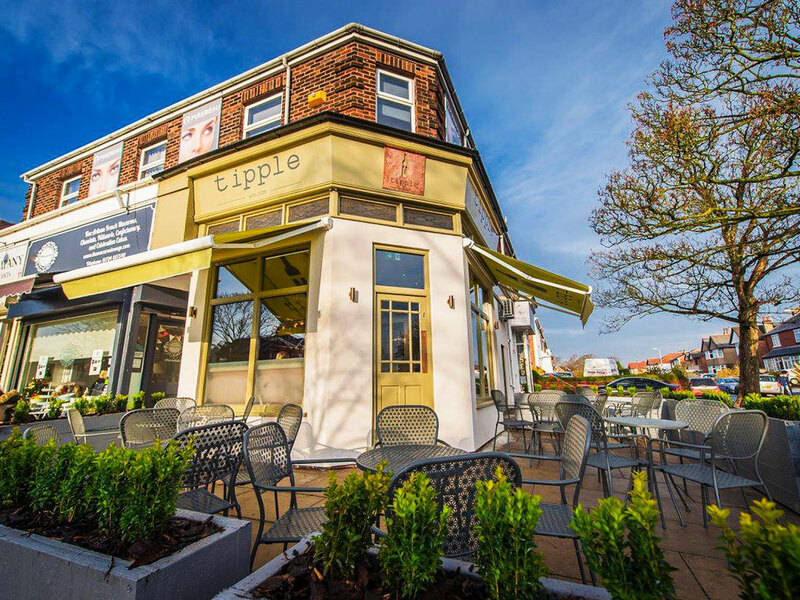 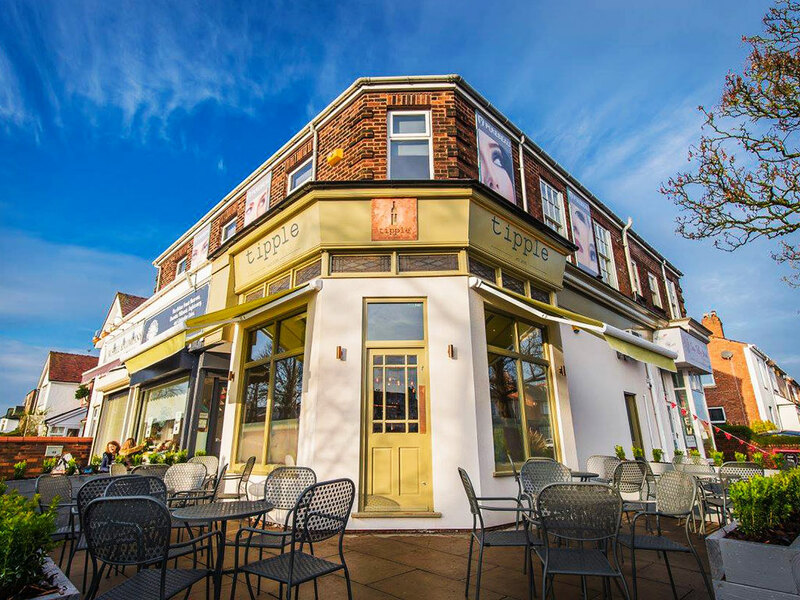 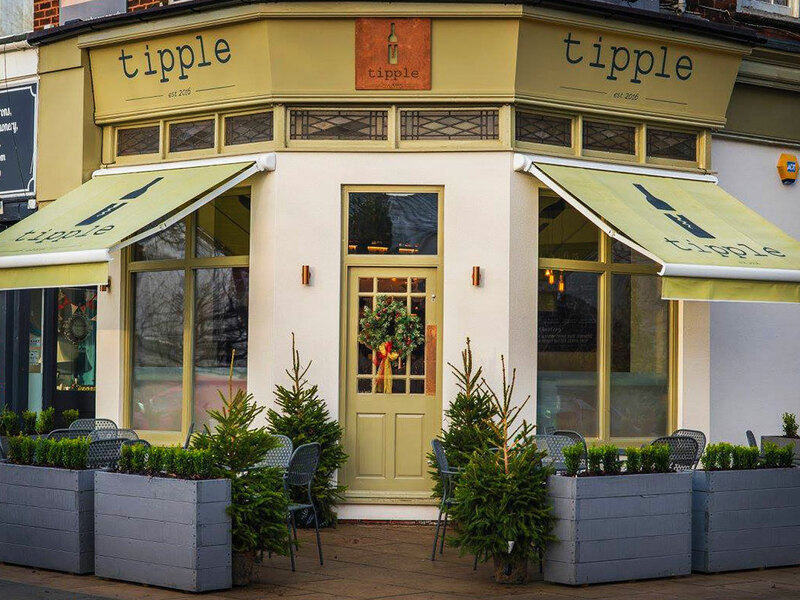 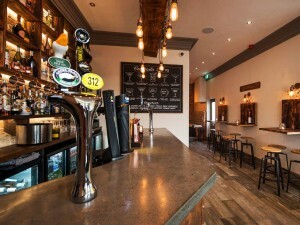 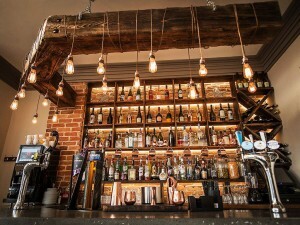 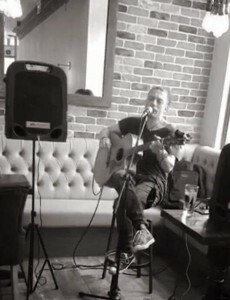 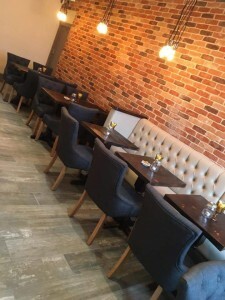 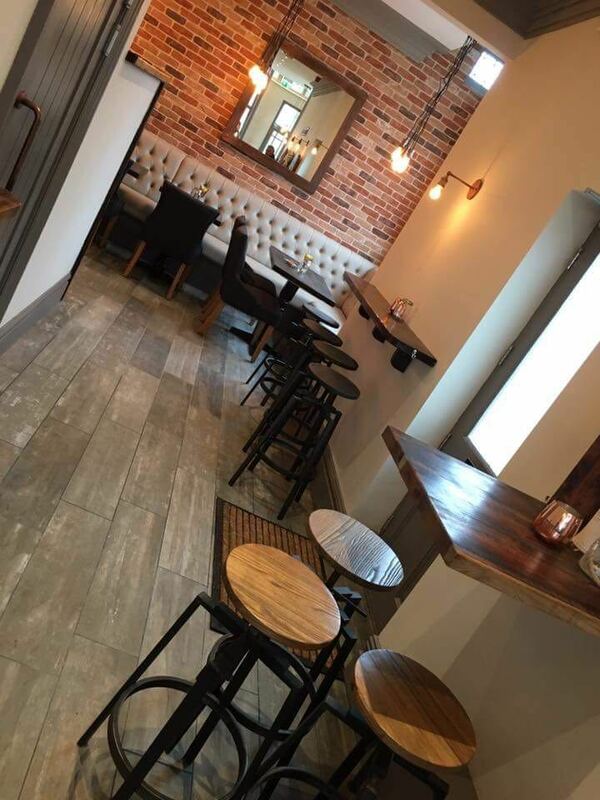 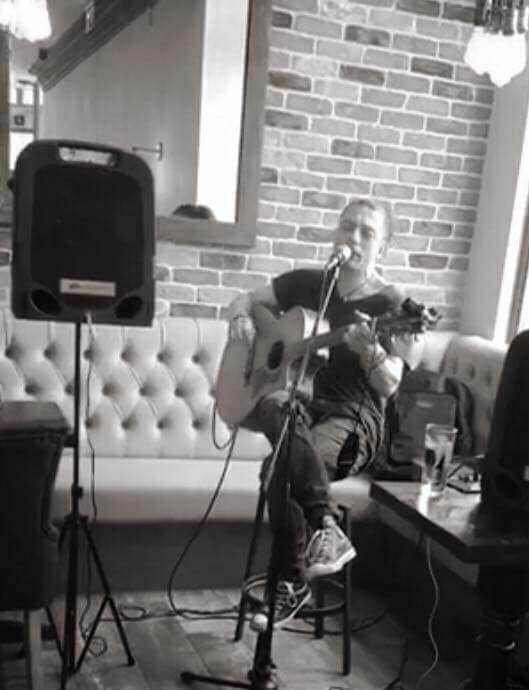 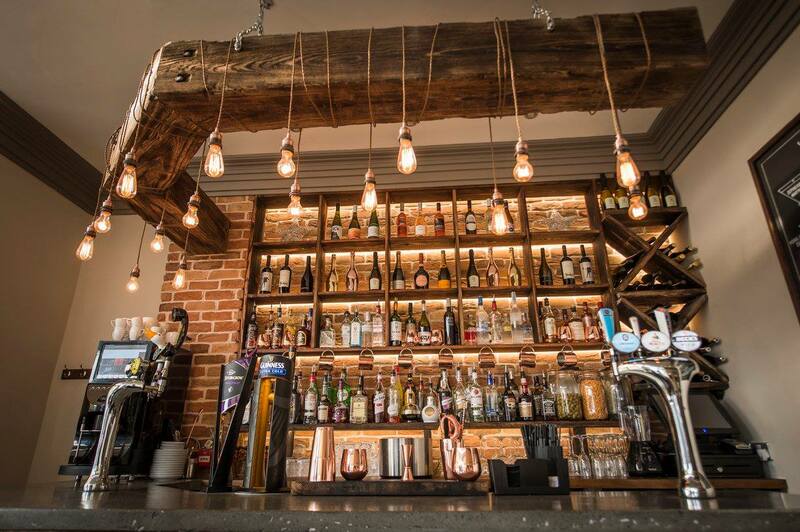 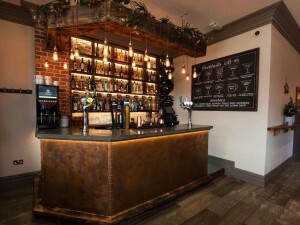 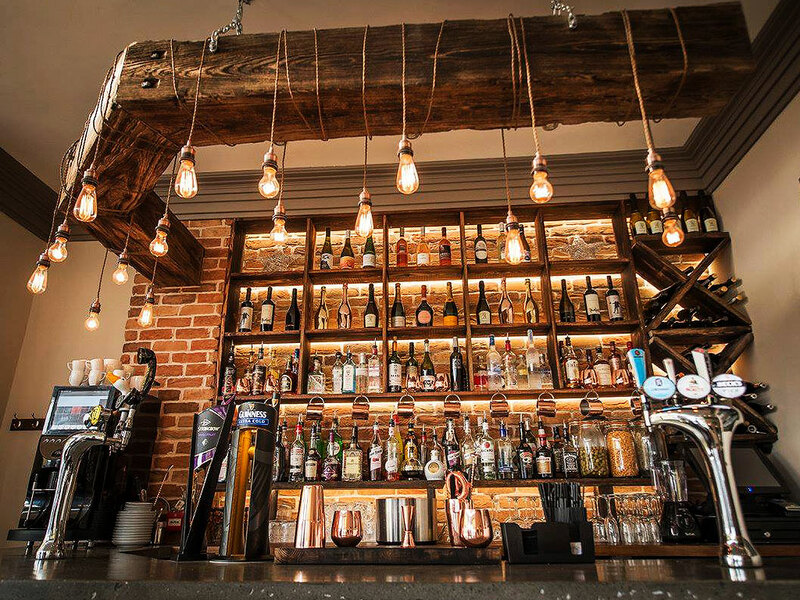 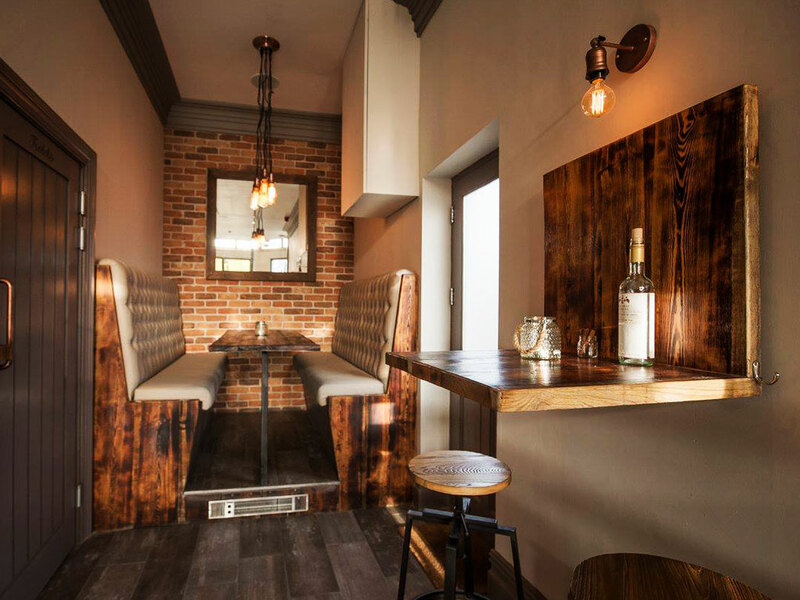 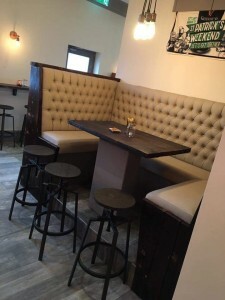 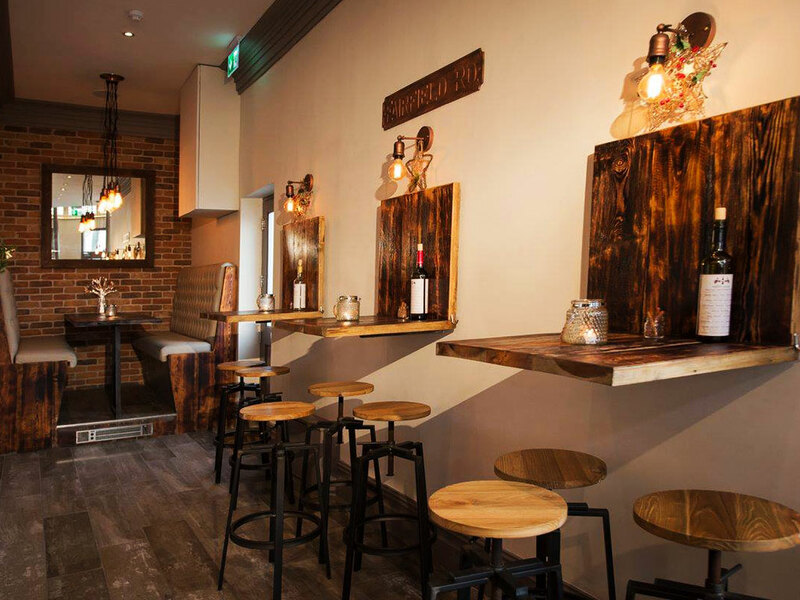 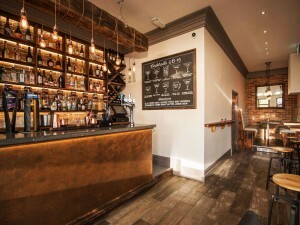 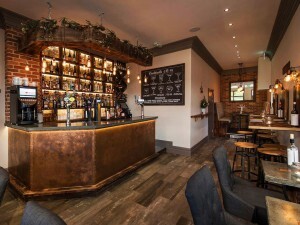 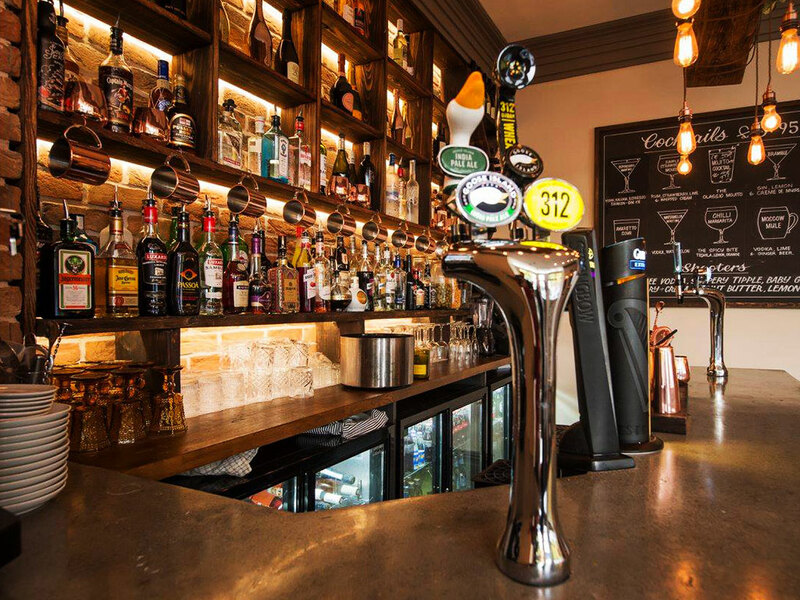 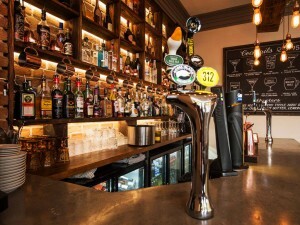 If you find yourself in Southport and requiring refreshments and ambient surroundings then give the Tipple Bar a try, and whilst you are their you can marvel at the quality of our brick slip products.